Being an industrious furniture maker, Frank knew he could help. Using the same techniques and materials he originally developed for his eco-friendly furniture line Terrapeg, he immediately starting drafting plans for an emergency and disaster relief house he calls Shelter In Day. Shelter In A Day provides not only safe, secure and sturdy emergency and disaster relief housing, but Shelters are also termite, rust and rot resistant and come equipped with lockable doors and windows. Shelter In A Day’s homes are eco-friendly as they are crafted from waterproof, recycled wood fiber material. But perhaps the most valuable quality of Shelter In A Day is that homes can be erected in one day, without tools or electricity, using a new patented “Tool Free Joint.” Shelter's Tool Free Joint reinvents a simple, yet solidly constructed, carpenter style joint with a secure locking peg that is very easy to assemble. Shelter In A Day's homes are earthquake and windstorm resistant, built to last and provide those in need a very appealing alternative to traditional "box car" type shelters. Roof overhangs keep the noonday sun off the walls, keeping Shelter's cool inside. A sturdy and lockable door and windows allow light and ventilation. Shelter In A Day’s same patented Tool Free Joint is also used to craft Terrapeg furniture. With more than 30 attractive designs, Terrapeg’s appealing and durable green furniture offers everything a family needs to furnish a home, office or restaurant. 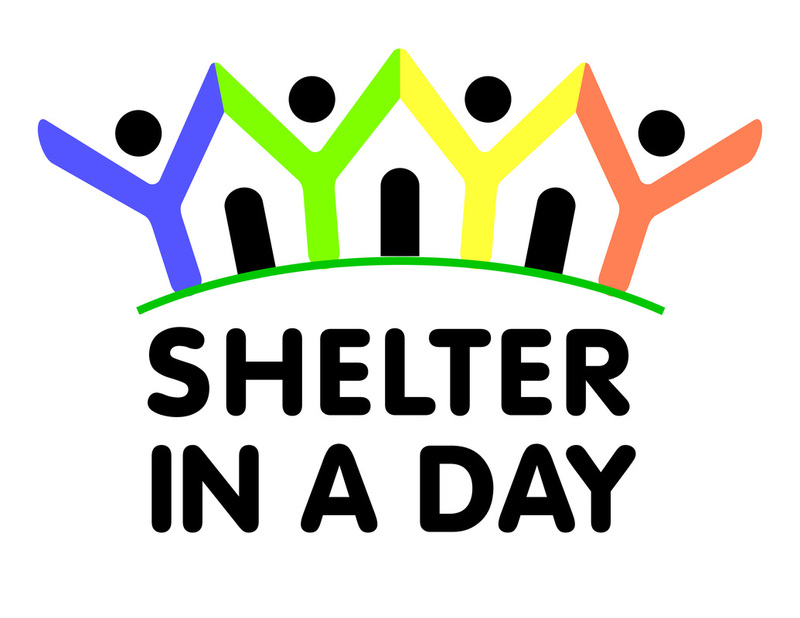 Shelter In A Day housing combined with Terrapeg furniture makes it possible to build furnished homes, schools, clinics or churches, without tools or electric power, in a single day.